﻿ Rosen Inn Closest to Universal, Orlando (FL) | FROM $60 - SAVE ON AGODA! "The hotel is less than 10 minutes from Universal, about 20 m..."
Have a question for Rosen Inn Closest to Universal? "The best hotel value in Orlando." 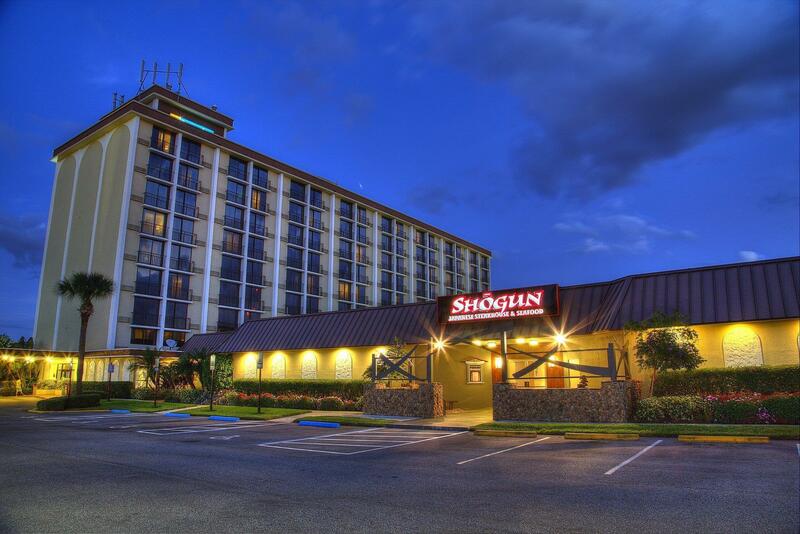 "Friendly staff, shuttle to the parks, and the rooms are very clean." "Nice, clean, good pool, free parking, close to Universal"
Designed for both business and leisure travel, Rosen Inn Closest to Universal is ideally situated in International Drive North - Universal; one of the city's most popular locales. From here, guests can enjoy easy access to all that the lively city has to offer. With its convenient location, the hotel offers easy access to the city's must-see destinations. 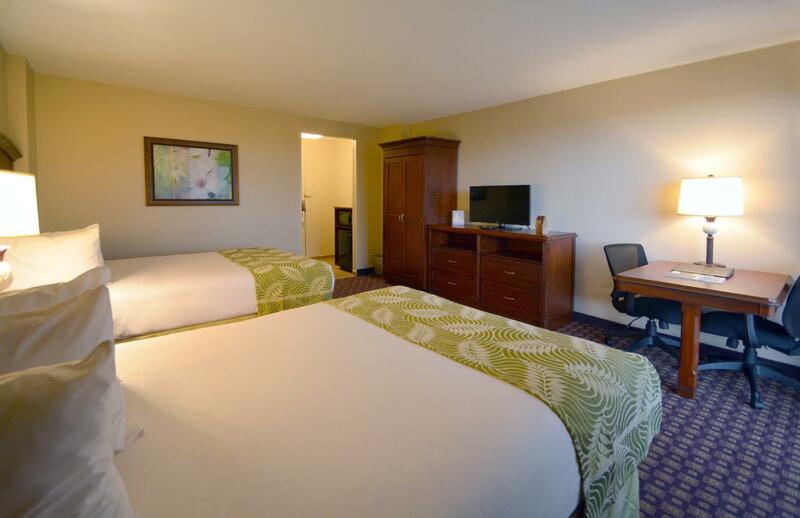 The facilities and services provided by Rosen Inn Closest to Universal ensure a pleasant stay for guests. Guests of the hotel can enjoy on-site features like free Wi-Fi in all rooms, 24-hour security, gift/souvenir shop, laundromat, taxi service. The ambiance of Rosen Inn Closest to Universal is reflected in every guestroom. television LCD/plasma screen, internet access – wireless, air conditioning, wake-up service, alarm clock are just some of the facilities that can be found throughout the property. The hotel offers an excellent variety of recreational facilities, including outdoor pool, games room. When you are looking for comfortable and convenient accommodations in Orlando (FL), make Rosen Inn Closest to Universal your home away from home. "generally staff polite, clean rooms." Rossen Inn is great budget 3 star hotel. It's very clean, great location, friendly staff.A lot of dining options in short walking distance from the hotel. I choose this hotel based on high ratings ,and I found it to be true. Prefer small hotel than big resort with bunch of non stop crying and screaming kids. It was nice, it was quiet and that is important for me. Highly recommended. We stayed here for a week whilst visiting Universal and took advantage of their free shuttle to the parks saving $25 parking everyday. The room was clean, beds comfortable and nothing was a problem for the staff. Housekeeping came in everyday and did a good job. The pool was warm, plenty of loungers and table and chairs with parasols, it was quite deep but there was nowhere really for small children. The air conditioning units were very loud and we needed it to run overnight as it was so warm. There are plenty of restaurants close by and the Lynx 42 bus from and to the airport stops just outside the hotel which was very convenient. All of the staff were very helpful and polite, nothing was too much trouble and they have laundries on a few floors which were very useful too. Overall a good hotel for a good price, we would stay here again as it is so convenient for the parks and as long as you have a clean comfortable bed at the end of an exhausting day, what more can you ask for? Great location if you are planning to visit Universal and premium outlet. They have free shuttle bus. The bus operates even in the late evenings so you can enjoy dinner or drinks at the city walk restaurant. The trolley stop is just outside the hotel which can take you to the outlet for $2. Overall, I feel it’s worth the money. My family and I stayed at Rosen Inn Universal for 2 weeks and 2 wonderful weeks they were. Our room was homely and our housekeeper, Melinise, was very friendly. She ensured that we got everything that we needed to make our stay a comfortable one. The hotel is conveniently located on I-drive close to just about EVERYTHING! Hotel staff was awesome! Carlos, who checked us in, Viviana and the other Front Desk staff are just the best! Extremely welcoming, polite and accommodating. Restaurants were a little expensive so, we bought and stored food in our room refrigerator. The I-Ride trolley is a convenient way to move around so, we got unlimited I-Ride tickets for the duration of our stay. There is so much to see and do, 2 weeks was just not enough. Rosen Inn universal is now my home whenever I am in Orlando. We will definitely be going back and this time, we will be bringing friends! Thanks to the staff at Rosen Inn Universal for making our stay a memorable one! Have been to Rosen Inn like 5 times now, always a good value, big king Size bed, would be good for 2 Adults and a Kid <8 clean, close to convention center and Universal etc. if you like a value place in orlando that is the place to go. I wasn’t expecting this hotel to be as nice as it was. The room was spacious! The hotel offers a buffet style breakfast for a great price, it was so good ! I was satisfied with my stay and will defiantly be staying again!! As a family of little ones you always worry about the cleanliness and security of the hotels you steady at. This hotel was by far the best I've seen in a long time. It surpassed the more expensive hotels we've stayed at as well. We will definitely stay here again as we are passholders to almost all the theme parks. Thank you for the amazing stay! The facility was wonderful. The room was clean and up to date, but the employees are a different story. They were friendly, but wouldn’t give me a bottle of water even after messing up my room assignment and making my whole family have to go from one side of the hotel to the other. We were suppose to have a double queen room in the tower and were asaigned a long instead. We had to go back to the front desk and be given a new room and when I ask for a bottle of water for the inconvenience they said no, because they didn’t have any, yet the little “store” right next to the front desk had plenty. So as I said, nice facilities, but don’t expect anything more. The hotel is less than 10 minutes from Universal, about 20 minutes from the airport and Disney World, and has lots of restaurants and tourist gift shops within walking distance. Staff were OK, not friendly, but not bad. Room was clean except for some tiny bugs which kept appearing in the sink and bathroom. Would probably stay here again. Rooms were a good size. . This is the second time I have stayed at this hotel and I would definitely stay again. The hotel is in a great location, close to all types of restaurants, shopping and I-4. The staff is friendly& accommodating and the rooms are spacious and clean. Bar not brilliant. Could not find a manager on duty when there was a query. Went back later still could not speak to manager. Swimming pool small for size of hotel. But generally staff polite, clean rooms. Definitely visit again. where can you find a hotel for this rate? beds were comfortable. I could hear 1-4 but so can the other half a dozen or more hotels that are more expensive. Hotel was almost sold out yet barely passed any guests on my floor. So I heard nothing from anyone in nearby rooms. A really nice hotel if you want to visit Universal, the outlet mall and all the nice places on International Drive. Rooms are ok and staff is nice. The whole hotel is a bit outdated and needs some renovation. Ask for a room not facing the highway because it is a bit noisy. They have free shuttles to and from Universal. You can also buy tickets for it in the lobby. Also for other parks at the same or better prices then online. Beware of the employees of Universal that are in the lobby. They will try to sell you an annual pass, because the probably get a lot of commission on it. They will even lie about the benefits. Great location. Lovely setup. Has everything you need of a hotel&motel. Safe in room, tv, fridge, microwave. Beds were comfy. It was equally difficult for me to check in as it was for me to secure a booking for the shuttle to Universal Studios. Staff did not make the procedures clear as to how to book - it was always full when we tried to book it at 7am. I was informed only on the last day that we were allowed to book it 24 hours in advance when the front desk clerk told me upon check-in that we could only book it on the day itself. Thoroughly disappointed in this. Please review this matter for future customers. My husband and I stayed for a 3 night getaway. Orlando is always our quick trip getaway spot. But this was our firs time at Rosen. Excellent location, staff and accommodations all the way around. We did not have the b fast buffet although offered. We did not go to the Shogun but was given a buy 1 get 1 50% off. We did have drinks at the bar and all was good. Pool area nice and adequate seating. Rooms immaculately cleaned (most importantly). All have recently been remodeled. Beds comfy (and pillows too). Gated parking. Grounds kept nice. Ice machines available. Walking distance to shops and restaurants, bars etc. Easy drive to everything. Although we did not go to Universal it is literally 1 mile away. Very good rates!!! Definitely our new 'go to spot' in Orlando. I was in Orlando for a Convention next to the Rosen Inn. I tried to book at thy he convention local but there was a internet issue with their website. I remembered that the Rosen Inn was next door and did a search and found it was $20 cheaper per night and drive conveniently located next door. This turned out to be a blessing because of the size of the convention, there was no parking at the convention hotel but easy and plentiful parking at the Rosen Inn!